The Type 123 was built as a private venture to meet the requirements of Specification F.7/30, a 695hp Rolls- Royce Goshawk III steam-cooled engine being provided by the Air Ministry. 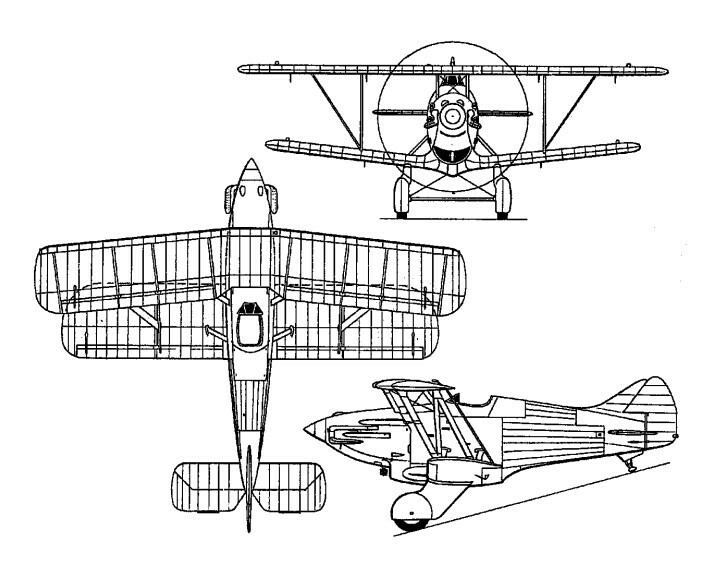 Of high-tensile steel construction with fabric-covered wings, rear fuselage and tail assembly, the Type 123 carried an armament of four fuselage-mounted 7.7mm Vickers machine guns, and was first flown on 12 June 1934, having been delayed by difficulties with the engine cooling system. Subsequently the Type 123 was found to suffer from lateral instability at high speed and further development was abandoned.